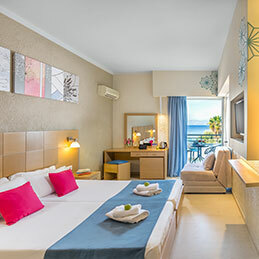 In the 3 star Hotel COOEE Albatros in Corfu the warm family atmosphere combined with high quality comforts is a guarantee for unforgettable holidays in Corfu. 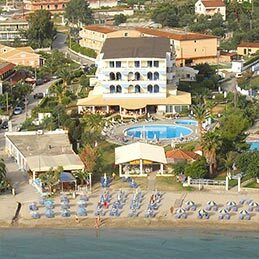 Renowned for its friendly atmosphere and high level of service it has become the ideal holiday resort in the Ionian Islands for adults and families of all ages. 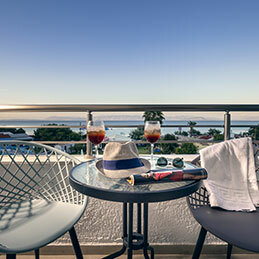 The unique location on the finest beach of Moraitica, a traditional and well known area, offers the chance of relaxing holiday accommodation and entertainment from morning to night, always with a personal touch and with greek hospitality.